Notice: No legal services are being provided or offered by Access Justice at this time. Access Justice, PSC is an organization of legal professionals committed to providing quality, affordable (or free) legal services to low- and moderate-income persons and organizations. 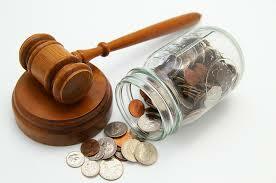 What is Pro Se Legal Representation? A lot of low income individuals and ordinary people, given the enormous hourly rates of private law firms, are interested in representing themselves in court. However, the legal world can be incredibly complicated, which is one of the reasons why lawyers exist. 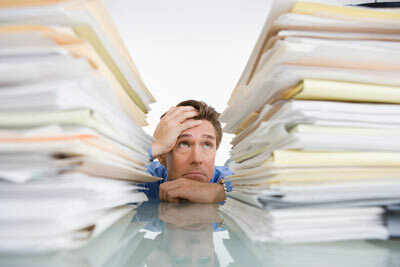 There is a seemingly infinite amount paperwork, filings, deadlines, and then court itself. It is a difficult system to operate within without legal representation, but many people are forced to go at it alone. The United States’ state and federal court systems are currently experiencing an increasing number of pro se litigants. For example, according to the National Center for State Courts, in a 2006 report, estimates the pro se rate for family law cases in particular at: 67% in California; 73% in Florida’s large counties; and 70% in some Wisconsin counties. Access Justice currently offers low bono services for eligible individuals who fall within the Federal Poverty Guidelines. See our Eligibility Guidelines for more information. In the future though, Access Justice would like to take part in and assist individuals with educational workshops, meetings, and information sessions on how to best operate pro se, encouraging and facilitating low income individuals who would like to represent themselves in court. As a first step, we would recommend people interested in being pro se to look at the Minnesota Judicial Branch’s website, namely the MN Courts’ Self Help Page, which is an interactive website page that includes “how to” guides, worksheets, and videos, as well various samples forms pertaining to court fillings and applications. Eventually, we hope to actively engage individuals in this process, and assist them in operating pro se and representing themselves. Posted by Author Name in Uncategorized / No Comments. Nothing on this site constitutes legal advice and this site does not create an attorney-client relationship or make any assertion regarding available attorneys in your jurisdiction. Access Justice is proud to announce that we are a member of the Charities Review Council's Smart Giving Network. Charities Review Council Letter and Seal. Access Justice is a nonprofit, full service public interest law firm committed to providing quality, affordable (or free) legal services to low- and moderate-income persons who have no access to our legal system. Access Justice is a Minnesota Professional Services Corporation operating under the trade name “Access Justice.” An attorney-client relationship with Access Justice will only be created upon the signing of a formal representation agreement between Access Justice and a client. Access Justice is a tax-exempt public charity under Section 501(c)3 of the Internal Revenue Code. All donations to AJ are tax deductible. Donate.